If someone really, really wants a `wow` factor when sending flowers, this is the design we recommend! With a look straight from the pages of a Paris Vogue magazine, our large and luscious, elegant show-stopping flower arrangement is guaranteed to make an impact. Delivered in a leaf lined vase, the florist team primp and preen these petals to perfection, using perfumed pink stargazer lilies, premium quality pink roses, spidery red orchid stems, sculptural pale pink and green anthurium lilies, and tropical foliage. 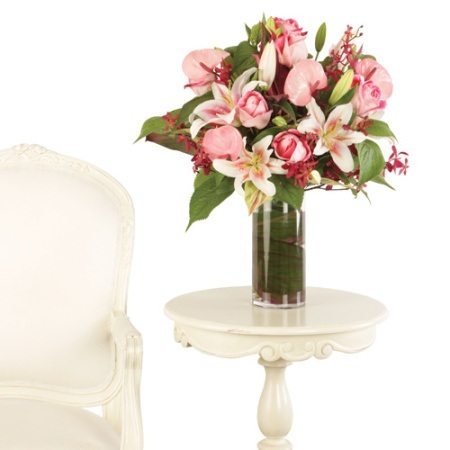 Order via our online florist shop or phone toll free on 1800 66 66 46 to discuss your order with our friendly consultants.